The Midnight Freemasons: The Secrets of Harry Houdini! The Secrets of Harry Houdini! 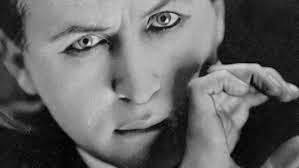 Many people know that Harry Houdini (Erich Weiss) was a Freemason (Read more here). Among the several things Harry is known for e.g. exposing the fraudulent practices of fortune tellers, warring with fellow Brother Sir Arthur Conan Doyle and of course magic and escaping from death traps, one is little known. It's reported that he was a member of the SRICF and, he was an avid reader of occult texts. In fact upon his death, he bequeathed his entire collection of occult books to the Library of Congress. His collection is located on the 2nd floor in the Rare Books Room in the Jefferson Building. Next time you're there, check it out. 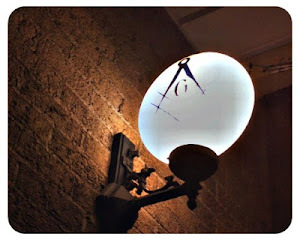 RWB, Robert Johnson is the Managing Editor of the Midnight Freemasons blog. He is a Freemason out of the 1st N.E. District of Illinois. He currently serves as the Secretary of Waukegan Lodge No. 78 where he is a Past Master. He also serves as the District Deputy for the 1st N.E. District of Illinois. Brother Johnson currently produces and hosts weekly Podcasts (internet radio programs) Whence Came You? & Masonic Radio Theatre which focus on topics relating to Freemasonry. He is also a co-host of The Masonic Roundtable, a Masonic talk show. He is a husband and father of four, works full time in the executive medical industry and is also an avid home brewer. He is currently working on a book of Masonic essays and one on Occult Anatomy to be released soon.